The Quick Command panel is a configurable floating panel where most common actions can be assigned to buttons and can be kept close to where you are working on your image therefore avoiding repeatedly moving your cursor all the way to menus or the menu bar. 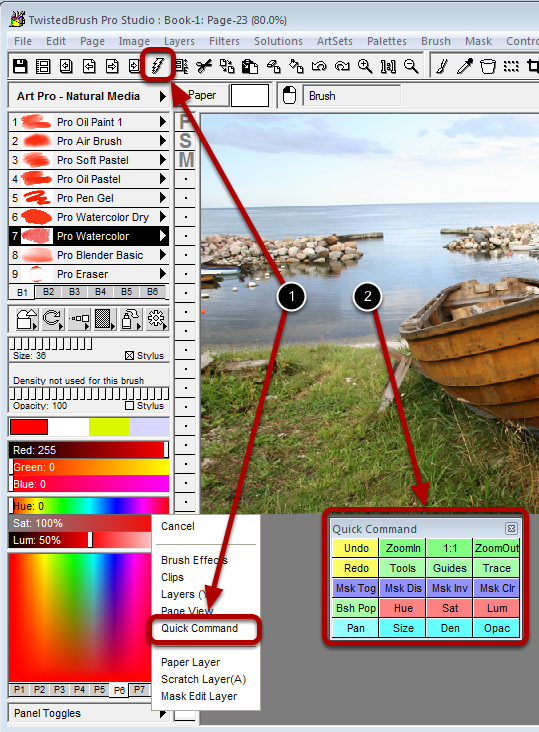 Two common ways to display the Quick Command panel. The Quick Command panel defaults with a set of 20 common buttons. They are color coded based on function.